SUNNYVALE, Calif., March 01, 2017 — Full Spectrum Inc., a leading supplier of private broadband cellular data networks for critical infrastructure and defense applications, today introduced its next generation wireless technology for wide area data communications including state-of-the-art virtual fence applications. Previous projects, such as the SBInet virtual fence commissioned by the Department of Homeland Security in 2006, were scrapped after failing to meet minimum objectives both in area coverage and with substantial cost overruns after $1 billion was spent covering only 59 miles of the 2,000 mile U.S.-Mexico border. However, new industrial wireless and sensor technologies, fueled by the industrial internet of things (IoT), are now capable of meeting the coverage, latency and security needs that could not be attained by technologies used for previous defense projects. 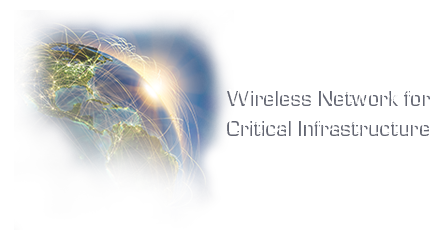 Full Spectrum’s software defined radio (SDR) technology for private wireless data networks provides expanded network coverage and secure, faster data communications all at a fraction of the cost of previous network deployment projects. The Company’s SDR technology was designed to support the wide area data communications needs for critical infrastructure applications, including cybersecurity requirements for mission critical electric grids. Full Spectrum’s technology is directly transferable to the defense and security industries with its ability to create cost-effective virtual monitoring and security along the nation’s borders including land, air and sea. Full Spectrum estimates that its wireless base station technology can create coverage along the entire U.S.-Mexico border for less than $10,000 per mile, which is roughly one-tenth of one percent of the $12.5 million per mile estimate for the physical wall. Based on Company estimates, the wireless technology, which leverages the existing tower and backhaul infrastructure installed along the border, could be deployed and operating within 12 months of project authorization. This would effectively provide an additional layer of security before, during and after physical border completion. In addition, the Company’s remote radios could be installed virtually anywhere within a 30-mile range of the border to create a secure, internet of things for digital security devices including drones, video cameras, thermal imaging devices and low cost sensor networks. The Company expects that the new demands for homeland security will help foster new relationships between the federal government and Silicon Valley technology companies.